Create your own Made with Unity ARCore app. Transform the way people see the world! ARCore enables incredible, mobile AR experiences for Android, without the need for additional hardware. 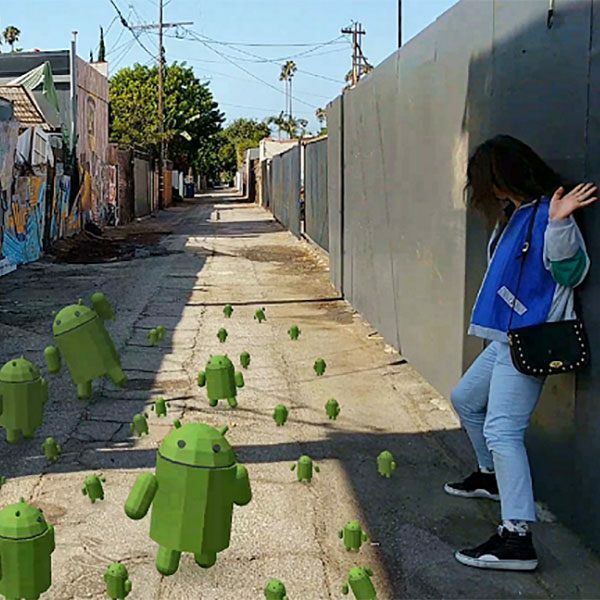 The Google ARCore SDK preview for Unity enables you to develop or extend existing Android applications with captivating AR experiences. Create realistic looking virtual objects rendered over the real world that react as if physically there. ARCore unlocks new categories of apps and games for Android devices. Have your app attach virtual objects in realistic places, handle camera motion, and changes in lighting. Place an object on a table and appear to rest on it. Walk around a virtual 3D object. A virtual object’s lighting will reflect the lighting in the environment. Download Google’s Developer tutorial to get up and running with the SDK. Make sure you have at minimum the Android API SDK v.24 (Marshmallow). Download Unity 2017.3.0f2 or any subsequent version. Get an ARCore enabled device, either Google Pixel or Pixel XL or Samsung Galaxy S8 running Android 7.0 Nougat and above. Configure Unity for ARCore development and get access to related support in the Unity Forum. For standards, developer tools and to submit your best work for a chance to be featured by Google visit the ARCore site.